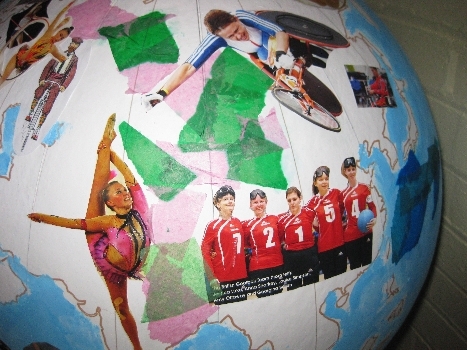 Taking inspiration from the London 2012 Olympic Games, the Museum of Oxford's two smaller globes have been transformed by family visitors into vibrant displays of sports action and sporting heroes. 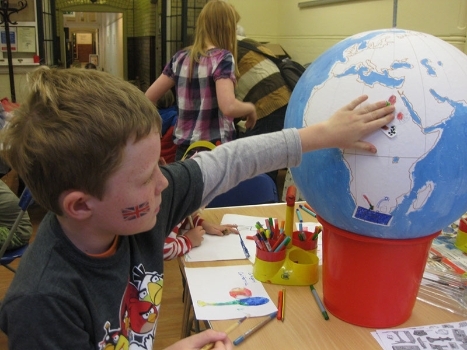 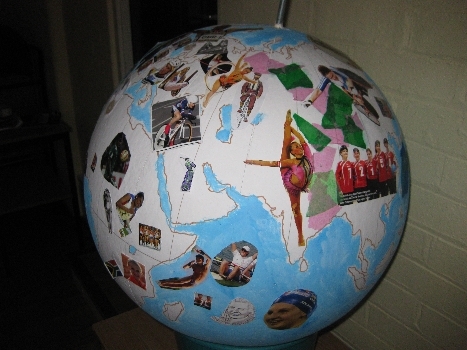 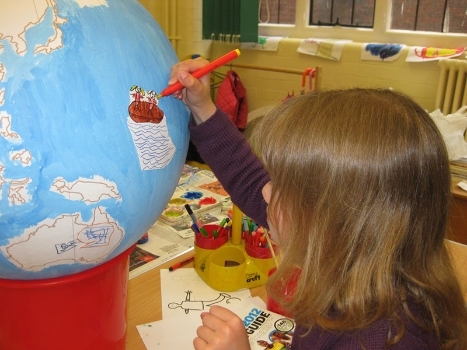 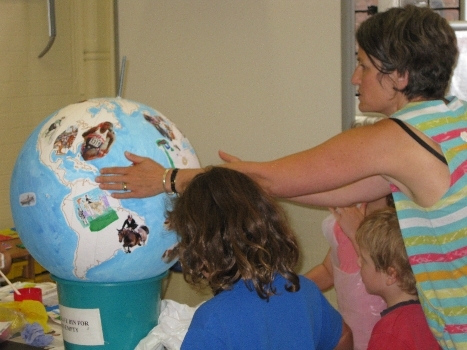 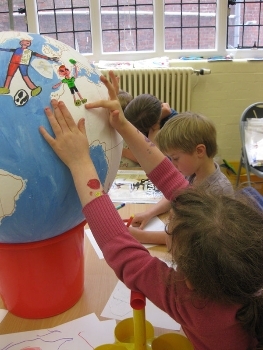 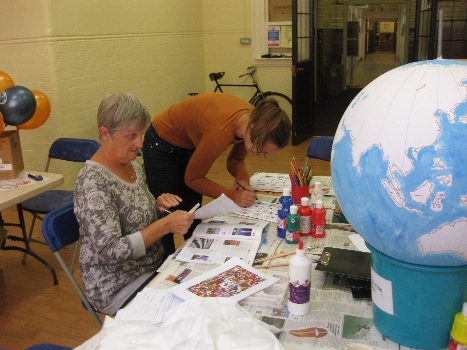 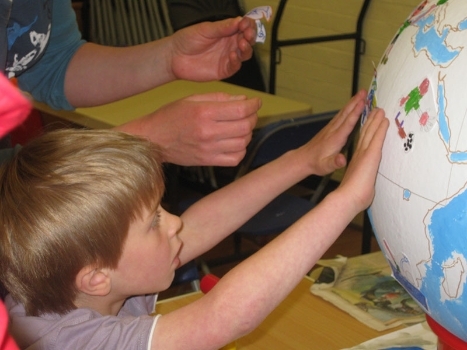 At two events – on 7 June and 16 August 2012 – families drew, painted and stuck their own sporting designs onto the globes, choosing the part of the world where they felt their sport fitted best. 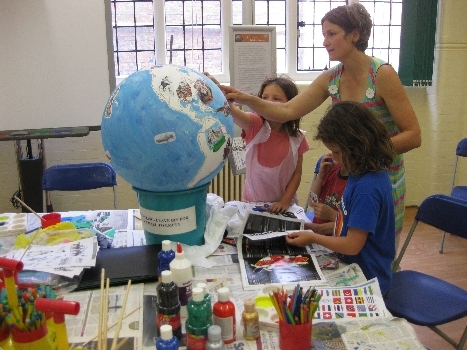 One of the globes is currently on display in the museum's summer exhibition on Oxford's sporting history.